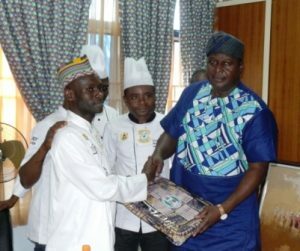 DG NCAC presenting a locally made in Nigeria laptop bag to the association. 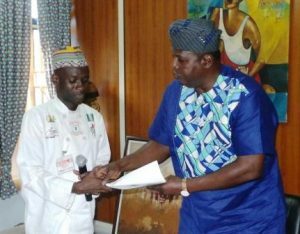 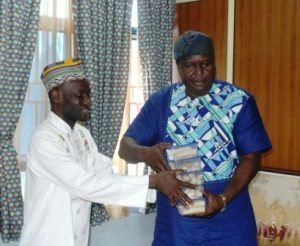 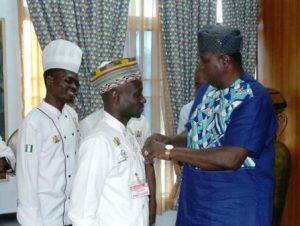 Reciprocating the gift items given to the Chefs Association of Nigeria by Otunba Olusegun Runsewe, the Association in turn gave to the DG and his Management Staff the continental dish the prepared. 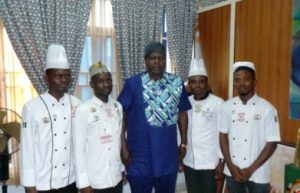 Group photograph by the Management Staff of NCAC and the Chefs Association of Nigeria.